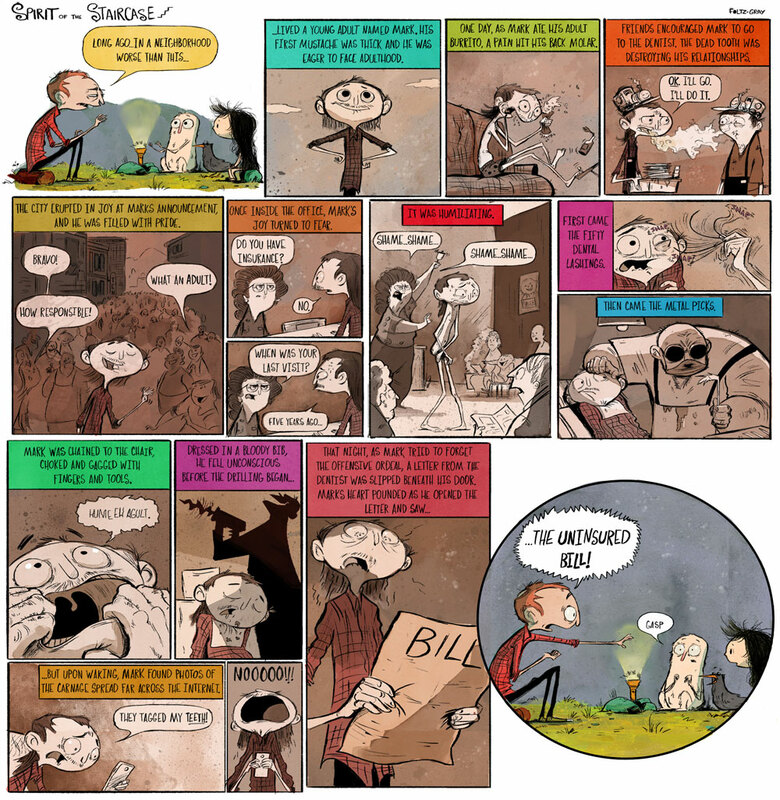 Spirit of the Staircase is a weekly comic strip published in an independent paper. The strip focuses on a neurotic and unoptimistic human named Matt, and a creature of unknown origins named Mumford, who IS optimistic and eager to learn about the human race and the world that surrounds him. This weeks strip describes one of the many moments in history that Matt loses his optimism.